Is there a certain age in puppyhood that you love the most? For me, it is the 5 and 6 month mark. From our experience, this seems to be point where naughty puppy behavior starts to vanish, including most of the destruction that comes from teething. Yes, puppies are usually still teething but the worst of it is over. Now Rylie has reached the stage where we are feeling a little more confident giving her a little freedom in the house, especially since potty accidents seem to be less common. Of course, puppyhood is still far from over, meaning that her curiosity leads to new types of naughtiness throughout the house (goodbye, magazines). Luckily, we had a brand new Pupbox arrive to help entertain our adorable Rylie and keep her out of trouble! For those who haven’t heard of PupBox (hi, new readers! ), they are a developmental subscription box that grows with your puppy. 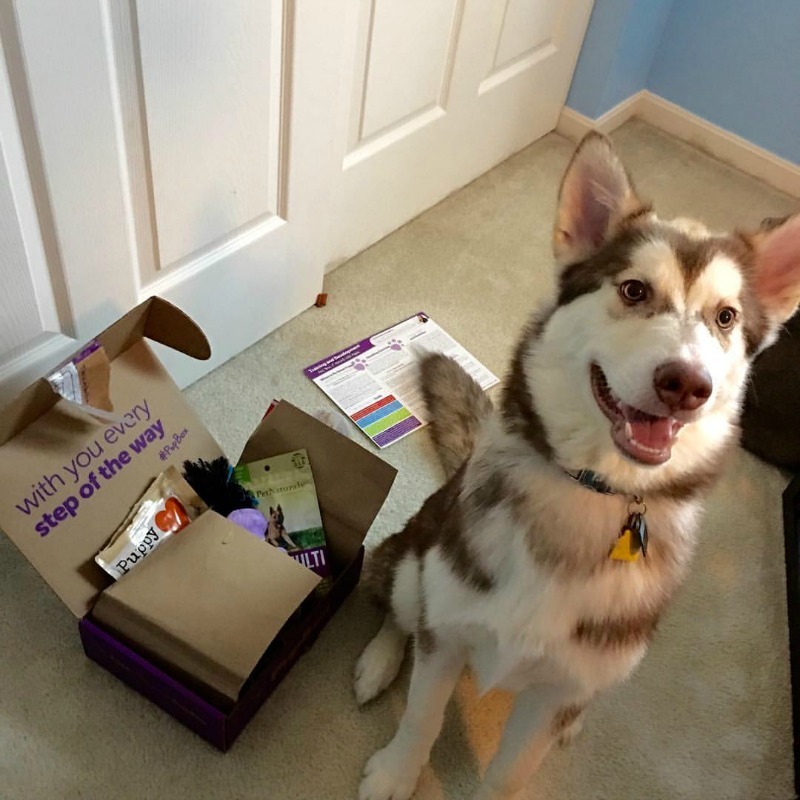 Rather than sending the same box each month to all their subscribers, they send it based on your puppy’s age, meaning that you get age-appropriate treats, toys, and even training advice approved by celebrity trainer Andrea Arden. Typically, boxes will have 5 – 7 items inside the box, with each box always having a bag of training treats inside based on your dog’s profile. As well, they make it super easy for you to reorder any toys your dogs loved, making shopping for puppy toys as easy as possible! To learn more, check out the Pupbox video below! To be honest, we were pretty excited for Rylie’s Pupbox to arrive. She has gotten to the point that when she sees the box arrive, she does hops in pure excitement. Ivi is really no better (she hopes to steal some of the puppies toys). Want to see what we think of the 5 month box? Check out our unboxing video below! Want to check out this awesome box for yourself (or maybe even your puppy)? You can get this fun puppy subscription box, which grows with you puppies through different stages for as little as $26 a month. To learn more, make sure to head over to the Pupbox website and see which plan is right for you and your puppy! Want to learn more? Check out Pupbox on social media! I love dogs, but right now, my two cats are fun enough. This sounds like a great product; I like that each package has changing items to go along with the puppy’s growth. Thanks for posting this review! this is something my niece would be very interested in. She has her dog so spoiled, that she never comes home with out something for her. I have not heard of this subscription box, I will definitely have to check it out. I know my doxies would love it! Thank you for sharing.